Chevrolet’s eCOPO Camaro drag racer concept vehicle was first unveiled at the 2018 2018 SEMA show. Now the vehicle has publicly made its first dragstrip pass. 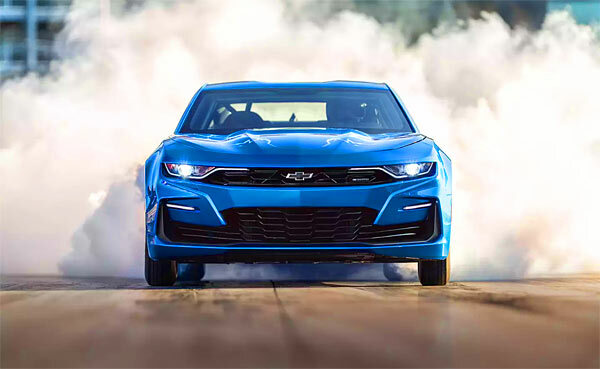 The video footage was released on Monday and shows the eCOPO Camaro silently spinning the wheels up to temperature with a quick burnout, approach the line, then set off silently with a huge wheelie. All the engine noise you hear are from nearby vehicles. The eCOPO Camaro in contrast, is as quiet as a church mouse. This Short dragstrip run highlights some pertinent points about this new electric muscle car, if we can even call them that yet. The quick launch off the line and instant torque is undeniable. 10.14 seconds @ 130mph seems to be announced at the end of the video, with the car running at 80% power. If this is correct, it’s a great starting point to get into the 9s. The powertrain in the eCOPO Camaro is the equivalent of 700 hp and 600lb. feet of torque, with the real world power being around 780 hp and 780 lb-ft of torque. The powertrain itself is a pair of BorgWarner HVH 250-150 motors, which runs through a regular Camaro 3-speed automatic transmission to a solid rear axle. Power comes from four, 200-volt modules which are distributed throughout the car for better weight distribution, which equates to a 44/56 front to rear ratio. At first I thought I would hate seeing an electric muscle/pony car zip down the drag strip for obvious reasons. But in reality once you see this electric beast is both a Chevrolet, Camaro and muscle/pony car and faster than a bat out of hell, it’s more appealing than you would think. It’s still a home team player, just in a different guise. Clearly the next video we want to see is this Camaro up against a Tesla. This is going to be inevitable in time and will be really interesting to see the winner of that race.